The super stylish Monza square modern short projection toilet, it's elegant lines and compact size make it ideal for smaller bathrooms and en-suites; made from high grade ceramic with a smooth cool white finish. 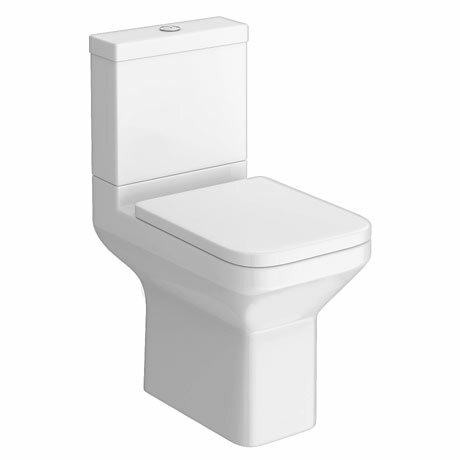 The close coupled toilet only projects from the wall by 610mm, so great for saving space. Supplied with a wrap over soft close seat which stops the lid from slamming and a quality dual flush with polished chrome flush button.